Planning for your Best Sun Peaks Vacation experience is simplified with this brief Sun Peaks Resort (British Columbia, Canada) planning guide. Whether you are coming to experience the second biggest and family friendliest ski resort in Canada during the winter season, or to experience the many wonderful summer Sun Peaks recreational activities including one of the top bike parks in the world during the summer months, a little planning in advance will help you chill on the hill! There are many ways to travel to beautiful Sun Peaks Resort, the closest interior ski resort to the lower mainland of British Columbia, Canada. Click for PDF driving map courtesy of Sun Peaks Resort or driving directions to Sun Peaks Resort from the Lower Mainland. 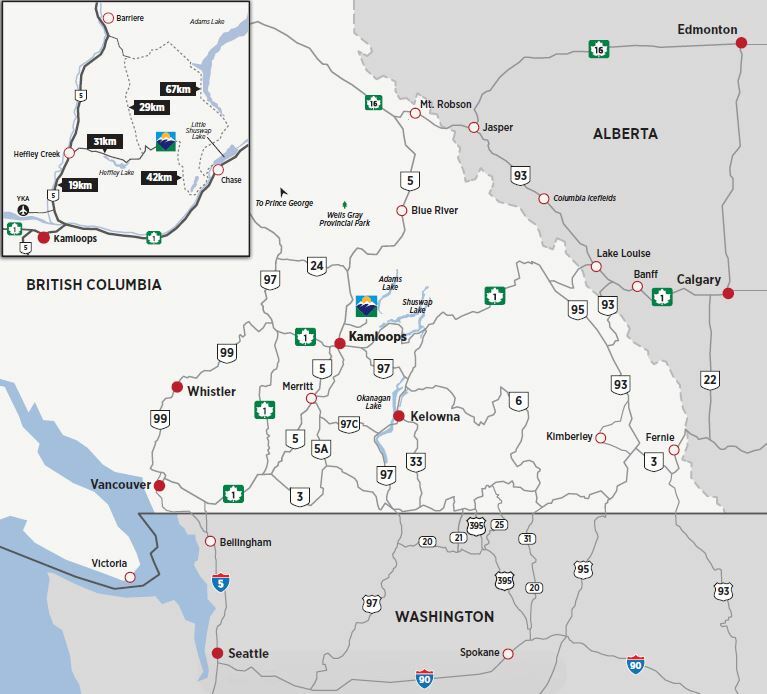 The three closest airports include YKA Kamloops (around 45 minutes away), YLW Kelowna (around 2 ½-3 hours) and YVR Vancouver (around 4 ½ - 5 hours). If you are flying internationally, chances are you will need to fly to YVR and then arrange your trip to Kamloops and then up the hill on a shuttle bus or limo to Sun Peaks Resort. If you don't have your own car, the easiest way up the hill is to either rent a car (we suggest you book in advance) or pre-arrange a shuttle bus trip which are available on a regular basis during the ski season and on a more limited basis during the off-season and summer months. When booking a rental car or even if you are driving your own car to Sun Peaks, follow these step-by-step driving instructions from the lower mainland, and remember that you must either have snow tires (not just all-seasons) on or chains available to travel over the Coquihalla Highway between October 1 and April 30th. You are driving through some high-elevation areas that are susceptible to sudden weather changes so be prepared. Whether you are on the Coquihalla where the speed limit was recently raised to 120 km/hour or on the road up the hill, please drive carefully, watch out for wildlife, and adjust your speed to the light and weather conditions! We want you to arrive and get back home safely!! And remember if driving up from the USA, you will need a valid passport to cross the border into British Columbia or elsewhere in Canada. If you are reading this, perhaps you have recently booked your Best Sun Peaks Vacation at our beautiful ski-in/ski-out condo in Stone’s Throw or our luxurious 5 bedroom Trapper's Landing townhouse at Sun Peaks Resort? 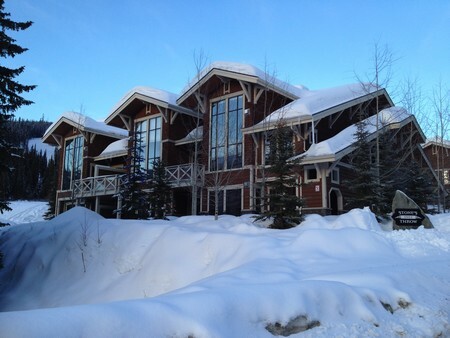 If not, you will need to explore the many wonderful Sun Peaks vacation rental properties, from studio suites in Sun Peaks hotels, to condos, townhouses, ski chalets and luxurious mountainside vacation properties that are available to rent. In time, we will have some preferred vacation rental properties listed for consideration on our site, or check the options available at Sun Peaks VRBO Sun Peaks Vacations (Vacation Rentals By Owner) or on the Sun Peaks Resort website. There are also some Sun Peaks area camping and Sun Peaks hotels options to consider. Either way, you are sure to find Sun Peaks accommodation that suits your needs, your family or group needs, and your vacation budget. Before you go any further – remember Murphy’s Law and ensure your trip is properly insured! If you booked your Sun Peaks flights, car rentals or Sun Peaks vacation rental using a credit card, you may have some trip cancellation and/or health insurance already. However they always seem to come up with exclusions so do your homework! Travel insurance consists of trip cancellation insurance (covers the cost of cancelling flights, accommodation, etc. in case of sickness or emergency) as well as medical/health/accident insurance. Whether it is Spring, Fall, Summer, winter or in between at Sun Peak Resort, you will be enjoying the many available activities there and accidents can happen, so plan ahead and insure against them to ensure a Best Sun Peaks Vacation no matter what happens! Yes Sun Peaks offers world class skiing and snowboarding in winter, and biking, golfing, hiking and much more in the summer time. But there is so much more to see, try and explore. Enhance your Sun Peaks Vacation by adding on a tour, or other recreational activity, take in an event, explore the surrounding area and basically try something new! 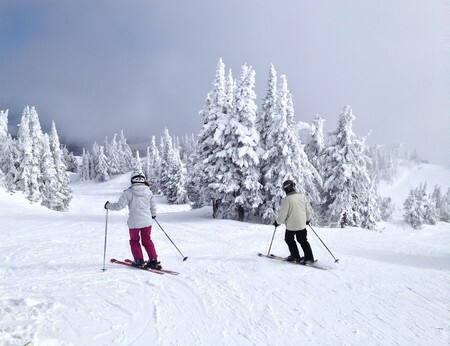 Most Sun Peaks vacation activities are at scheduled times and for limited group sizes. Consider your breaks in between skiing and other activities and think about pre-booking something you really want to try. Visit our Sun Peaks spring, Sun Peaks Summer activities, fall activities, or Sun Peaks Winter activities page for suggestions. We will be trying as many activities as possible and will be providing either our reviews or reviews submitted by guests. Please feel free to send us your Sun Peaks Review to share with others. 5.) Don't Forget the Kids!? Just one of the many things we like about Sun Peaks Resort is how family-friendly it is and how they do their best to ensure people of all ages and abilities can enjoy themselves and improve their skills. While it is wonderful to enjoy the many activities with them, sometimes a little parental break can also be very welcoming! From basic child minding services during the winter season for those who really don’t want to ski, excellent beginner ski or snowboard camps or mountain biking lessons in the summer, to full out expert downhill ski, board or bike lessons for the extreme athlete in your family, the Sun Peaks camps are all highly recommended. Nancy’s seven year old son loved his learn to ski camp and improved dramatically in one day, and even my 16 year old who fancies himself as a very good skier loved and raved about his 2 hour expert mogul session I bought him! Check out the many options available via the Sun Peaks Resort website. And don’t forget about the Adaptive ski and snowboard lessons at Sun Peaks for children as well as adults with disabilities and special needs. 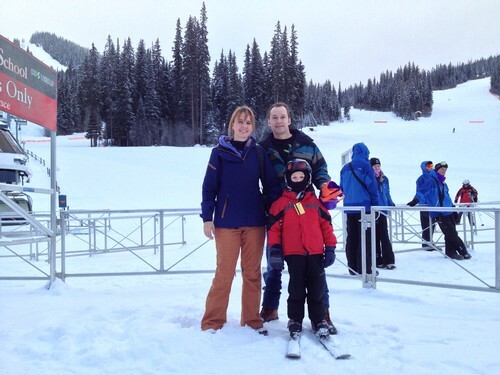 Sun Peaks babysitting services may be possible as well, with trained sitters from the Sun Peaks daycare. Relax during your Sun Peaks vacation with relaxing or therapeutic in-suite massage services or full-service Sun Peaks Spa facility. Capture the memories and special moments with professional on-hill photographic services. Have your groceries and refreshments delivered right to your Sun Peaks accommodation, or have delicious meals catered and delivered fresh for your ease and enjoyment. How about a private or group tour or lesson (winter or summer)? Gourmet, catered, in-house dinner party. These services and more can be arranged on our Sun Peaks Services page. If you are like us, you put away your skis after the last run, and grab your bike, golf clubs or hiking gear as soon as the next season arrives (and vice versa). But remember to check your gear and get it serviced and tuned-up in advance of your Sun Peaks Vacation (although this can be done at various shops at Sun Peaks as well). And if you need to rent safety gear, winter skis or snowboards, or summer cross country or downhill bikes, plan ahead and ensure it is ready for you upon arrival at Sun Peaks Resort. Check out your Sun Peaks summer or winter equipment rental options here. Once your gear is readied, it may be time to think about buying passes for your upcoming holiday. Single day, multi-day, and full season passes are available, with small discounts available for purchasing before June 30th and September 30th. You can also buy your Sun Peaks lift passes online as well as rental equipment packages and save up to 40%. But be realistic about how many days you will be able to ski, bike, hike, golf, etc. No need to pre-buy too many days’ worth though because refunds are not available. You need to be sure you are going to ski for around 10 days before a season pass is worthwhile. Shorter duration or day passes are available and offer direct charging to your credit card at discounted rates if you end up skiing or enjoying other activities for more days than you thought. 8) Your Best Sun Peaks Vacation is Finally Here! Time to pack up your gear, your family and friends, and head on your holiday to wonderful Sun Peaks Resort. • Bring your Sun Peaks Accommodation travel details, access codes, contact numbers, etc. • There isn’t a gas station at Sun Peaks Resort. There is a Petro-Canada just before the turn-off to the resort, or at the Heffley General Store at the bottom of the hill so fuel up before you get to Sun Peaks. • There isn’t a major grocery store or Government liquor store at the resort either. Basic groceries and liquor can be bought (at premium prices) at the Heffley Creek General Store, groceries and essentials can be purchased at the Bluebird Market at the Resort, and alcohol can be purchased at the Sundance Liquor Store at the resort. • So either stock up ahead of time, pre-order groceries for delivery to your Sun Peaks accommodation, or stop in Kamloops on the way to Sun Peaks, where you can find any number of sports stores, grocery stores, a Costco, and Government liquor stores. • Check the forecast, bring lots of extra clothes (for any season), and consider the need for sunscreen, bug spray, bear spray, hand and feet warmers, etc. and remember in high mountain areas the weather can change quickly! • Depending on the season, consider stopping in at one of the Kamloops wineries, craft breweries or the Sun Peaks waterfall on your way up. For Sun Peaks travel or vacation questions, suggestions or tips, please feel free to Contact us and we will try our best to help. Have a wonderful Best Sun Peaks Vacation! !